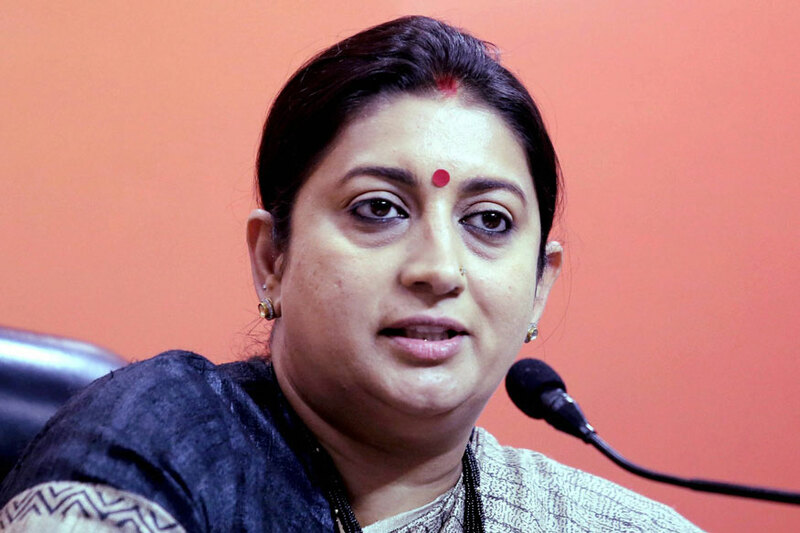 Mumbai, Dec 10: Union Information and Broadcasting Minister Smriti Irani on Saturday maintained that questioning freedom of expression and its association with films are mostly PR stunts, and such topics are raised before elections. Irani was on Saturday present at the 'We The Women' conference, where she was in conversation with filmmaker Karan Johar and producer Ekta Kapoor. She was asked by a budding filmmaker about limiting the freedom of expression of filmmakers. Responding, Irani said: "I think people start raising questions on freedom of expression on mainstream media before every election. What we do not pay attention to is whether we are becoming an element of the film's publicity or not. I think we need to introspect that as well." "I am very proud of the current Central Board of Film Certification (CBFC) chief Prasoon Joshi, who is a sensitive soul and creative person. I think people should understand that no matter which political ideology a person is coming from, once the person is serving the nation, he or she is there to follow the law which has nothing to do with any political party. "For instance, one of the biggest films that released this year was on Arvind Kejriwal (Delhi Chief Minister). It did not happen during the Congress government. If the freedom of expression is restricted, this film would have never released," she said. She added: "The fact is that no one will talk about such things because it does not manufacture political outrage or any attention." Irani, who became a household name after starring in the popular daily soap "Kyunki Saas Bhi Kabhi Bahu Thi", said putting a film in controversy and questioning the freedom of expression is mostly a PR stunt. "Being a member of the entertainment industry who is now in I & B Ministry can figure things out better. I think we all know when a PR movement plays out. The question is when PRs are doing things, are they questioning our intelligence?" asked Irani.